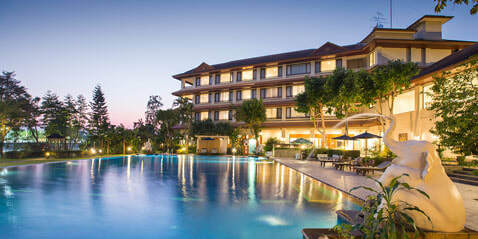 ​Discover the charm of Chiang Rai at The Imperial River House Resort. With 39 strategically appointed rooms: 3 Superior rooms (Cottage Style), spacious Deluxe rooms, spacious Deluxe River View and Balcony River View Suites of aesthetically designed Thai décor. Guests will be fascinated by a mix of nature and spectacular panoramic views of the Chiang Rai Kok River, especially as dawn and dusk times. 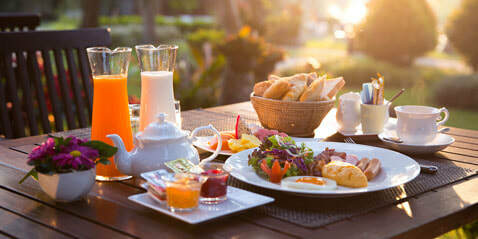 The resort offers all-day–dining at the Tara restaurant offering Thai and international cuisines where guests can ​enjoy meals amidst lush garden and peaceful ​ambiance. River View and Ruengtung meeting rooms can accommodate up to 180 persons theatre style. ​​After a day out to visit heritage sites or trekking guests can indulge with choices of spa treatments, keep in shape by jogging in the garden or fitness room, or take a plunge in large swimming pool overlooking Kok River. 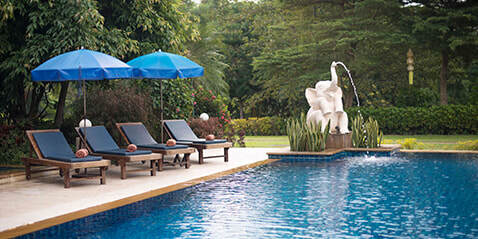 The resort also features well-equipped function rooms which can accommodate from 10 to 200 persons. The resort is conveniently located 3 kilometers from night bazaar in city center and 7 kilometers from Mae Fah Luang International Airport.